The best real basketball physics experience is here in this brand new arcade hoops game with next-gen graphics and easy to use controls. Shoot, flick, toss or swipe with one finger and score to prove that you’re the king of the court! FREE. Finally! The basketball shooter game you’ve been waiting for with arcade style power-ups has arrived. You can even challenge others online. No energy timers, gas-tanks or waiting. Play for free and bring home the gold! Get the edge and use Power-Ups to maximize your score and defeat opponents. Freeze time for precious extra seconds in a race against the clock, or clinch your shot by magnetizing the ball through the rim and much, much more based on your play style and strategy. Thousands of 3D pro, retro and street customization combos limited only by your imagination. Sport gear and uniforms like LeBron James, Kevin Durant, and other pro NBA superstars. Redeem GP earned from single player or online games and show your personal baller style and the spoils of victory. Play online and test your skills against other real, live opponents across multiple platforms! Can you make the shot and claim the victory or will you re-match your opponent and show them that they just got lucky? Who will bring home the gold? 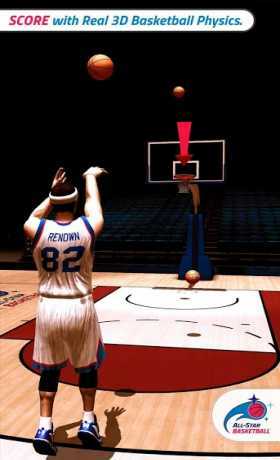 All-Star Basketball has it all from highly accurate ball physics and bounce to real-time cloth simulation. We took the best visual and physics features the consoles have (like the latest Playstation and XBox) and put it on your Android device! 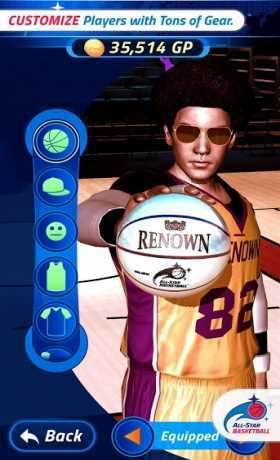 Sharpen your shooting skills and clutch shot in immersive courts from Canada to Southeast Asia in a variety of game modes and prove that you’re the king of the court. 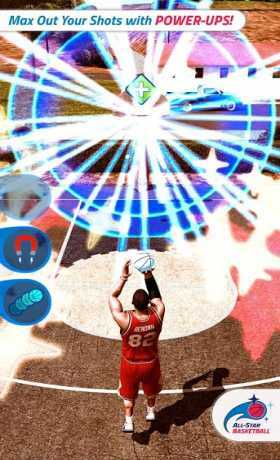 All-Star Basketball was created by basketball fans (and the same team that brought you the popular Ball-Hop™ and Waves Survivor™ series) that want a quick and fun pick-up and play experience tailored for Android devices without sacrificing visual quality. This can be seen with the dynamic lighting, cloth simulation, cinematic color grading, real-time shadows and other eye-candy. Install it now and get your game on!